Web Desk: A famous human right lawyer Nasrin Sotoudeh from Iran has been sentenced to a total of 38 years in prison and 148 lashes. According to India Times, She was charged with multiple national security-related offences. However, she denied all the charges. Her husband Reza Khandan wrote in a post on Facebook on Monday. Sotoudeh’s lawyer, Payam Derafshan, told the Islamic Republic News Agency (IRNA) in December that Sotoudeh – arrested last June – had been charged with spreading information against the state, which include insulting Iran’s Supreme Leader Sayyid Ali Hosseini Khamenei and spying. Nasrin is known for representing women who have protested having to wear the headscarf. The shocking sentence has received widespread criticism from noted human rights groups. 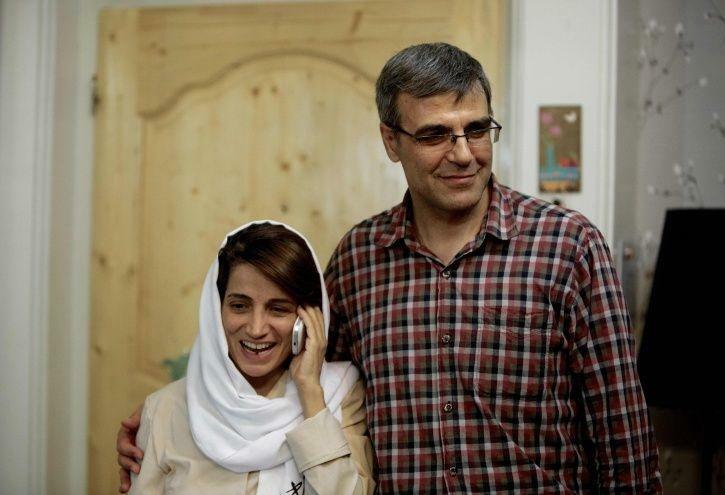 “Nasrin Sotoudeh has dedicated her life to defending women’s rights and speaking out against the death penalty,” Philip Luther from Amnesty International told the BBC.